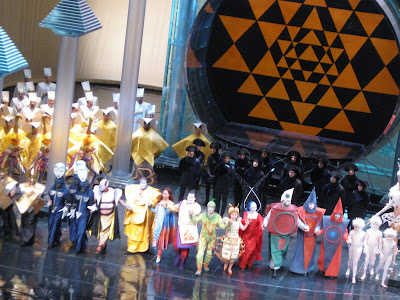 This was my first opera. It was really good and awesome. The opera house was really cool. I liked Papageno the best. He was really funny. I liked the music too. The screens on the back of the seats were neat and you could press the button for English, German or Spanish and I pushed them all. And the gold ceiling was cool. I wish pieces of it would fall where I was sitting so I could get a lot of money. I liked all of the diamond lights too. I would like to go back again. After we went to a fancy restaurant (O'Neal's) and the cast sat next to us. The king dropped his plate and it broke and he sang la la la like the funny bad guy did. 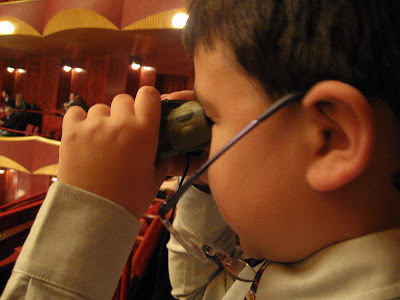 I can only hope that my kids/nieces/nephews someday appreciate opera at a young age like this! Another great review, Cody. 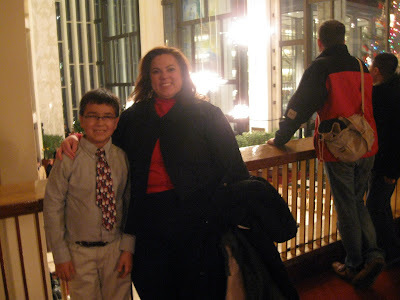 I saw my first opera in the fall, also with your aunt, and it was awesome. Wish I could see this one, too. It sounds like fun. You're right, the Met is cool! I also loved the screens on the back of the seats but I didn't think to push all the buttons. Wow! What a night! I like pushing all those buttons, too -- just ask your aunt! There are screens in the seats? MY! 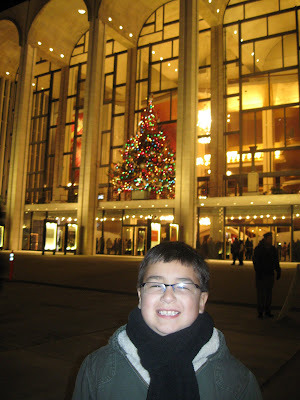 The MET is fancier than the Lyric, ain't it! Loved the review!